Our teeth are a large part of our emotional and physical health. When we’re younger, the tendency to focus on having a flawless smile is paramount. Adolescent years are riddled with bodily awkwardness and uncomfortable change and the smile is oft on the forefront of that. The popularity of teeth straighteners is a part of coming of age in the world of dentistry. Whether braces or seeing a specialized Invisalign dentist, people want their smiles to be straight. They typically want this for aesthetic value and, while dentists are all about beautiful smiles, there are some other health factors that having straight teeth help with to boot. Let’s look at a few of them. When teeth are straight and the bite is perfect, your teeth interlock such that when your close your mouth, everything falls perfectly into place. It might not seem like a big deal, but when crooked teeth and imperfect bites close, those teeth do not interlock. This causes your jaw to involuntarily search for that perfect lock, in the meantime grinding your teeth. This is called bruxism and is very common in people with poor bites and crooked teeth and can lead to further dental complications. Crooked teeth make for awkward brushing. When teeth are straight, the surfaces are easily accessible for brushing and the spaces between are equally accessible for flossing. Crooked teeth have spaces that may be easy to get to, but they also have spaces that are more difficult to access. Over time, the places that are tough to get become neglected and are breeding grounds for tooth decay and other issues. Gums are the most forgotten piece of dental health. When your teeth aren’t straight, imperfect cleaning impacts gum health. When you’re grinding your teeth, that also impacts gum health. Being the foundations upon which your teeth are rooted to the bone, gum health is incredibly important. About 74% of Americans have some form of gum disease and many of them don’t even know it. Your gums are very telling of the overall health of your teeth. 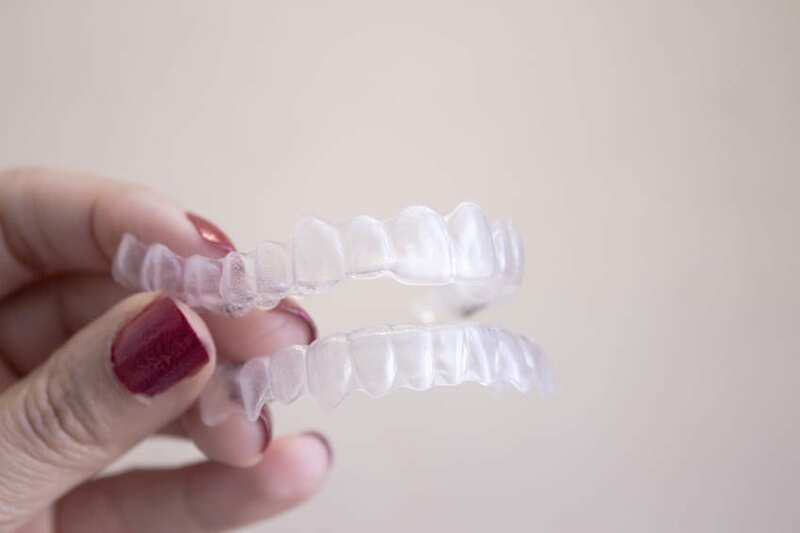 When you’re going to the Invisalign dentist, remember that straightening your smile is better for more than merely getting that celebrity grin. Your oral health will see improvements along with straightened pearly whites.